With all of the magic of fairy’s and woodlands, we decided to have a mother and daughter tea party! Spend quality time together at the library. There will be snacks, games, a craft and a mini photo shoot. Weather pending, we plan on taking the photo shoot outdoors made to look like a magical land. Leaving your email or address will ensure you get a copy of this precious commodity that you can treasure forever. 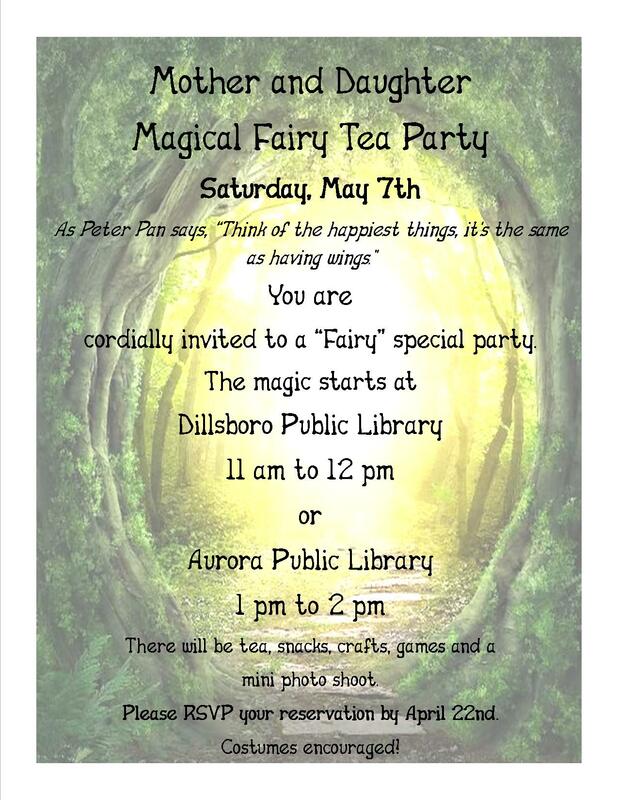 Join us for the tea party! or come in to reserve your spot now!